I have been wanting to offer my readers and clients a free printable for a while. It has taken me some time to figure out what brides may be want in a downloadable format. 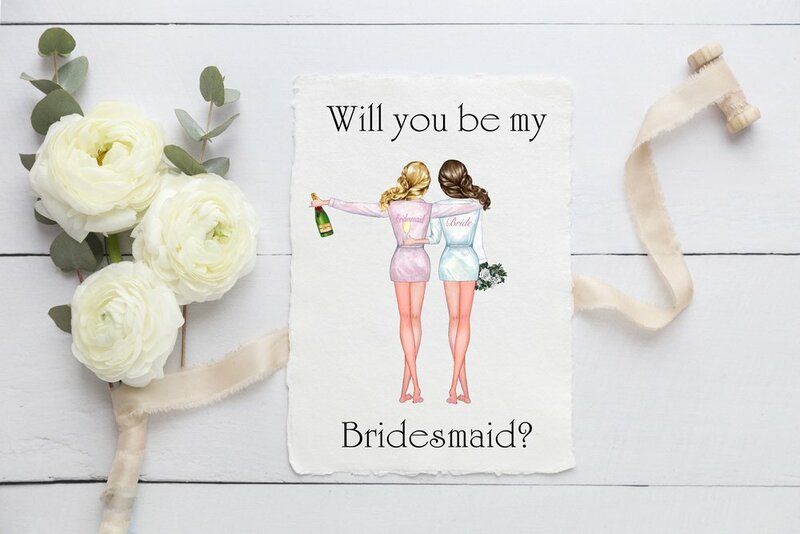 Well, today I decided to create this lovely "Will you be my bridesmaid" image and it turned out super cute! It could be printed on a number of different products from coffee cups to greeting cards or even tote bags. The file is in a .png format meaning the background is transparent. It is a large file, so you can rest assured it will print well and not be blurry. 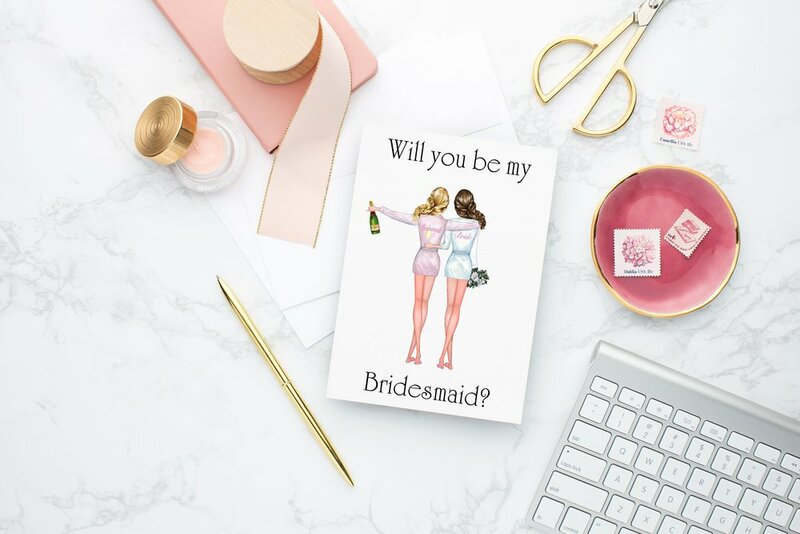 Can't you just imagine surprising your bridesmaids with a sweet little card or gift item with this adorable image? I think she will LOVE it! Head over to my download page and grab yours here.